Diabetic retinopathy (DR) is one of the most prevalent eye afflictions in existence today, with between 12,000 and 24,000 new cases reported yearly in the United States alone. 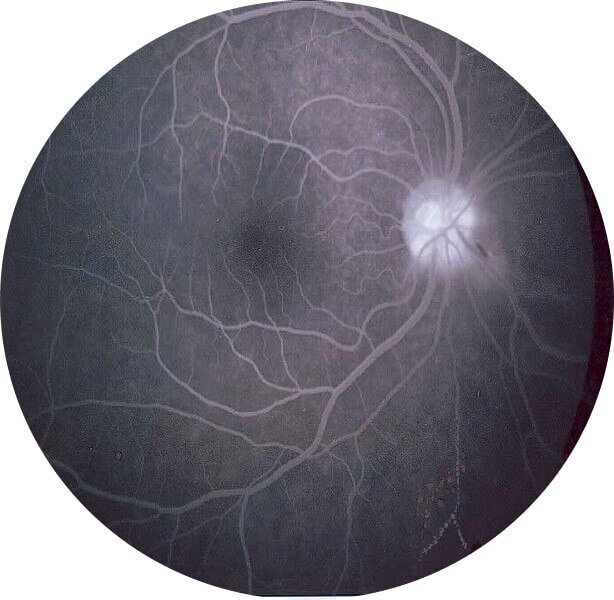 This condition is unique to those who suffer from diabetes mellitus, commonly referred to as diabetes, and is the leading cause of blindness in the diabetic population worldwide. 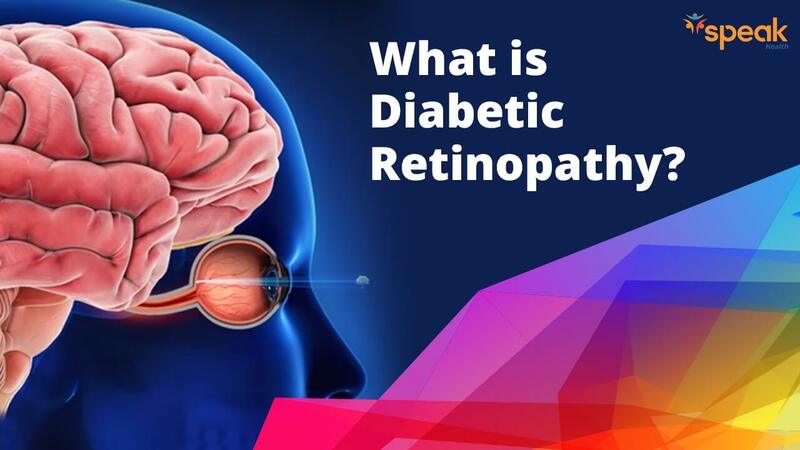 With the global diabetic population estimated at 371 million, the impact of diabetic retinopathy is profound, garnering substantial attention from the medical community at large. Fortunately, DR is both routinely detectable and highly treatable, particularly when addressed in its earlier stages. In addition, significant technological advancements have been made recently to further address the issue. Diabetic retinopathy is a regular result of damage to blood vessels and neurons located in the retina. These delicate blood vessels are particularly vulnerable to the fluctuations in blood sugar that characterize diabetes, which causes them to constrict as a result. In the earlier stages of development, constriction of retinal arteries reduces blood flow and leads to dysfunction of neurons located in the inner retina. As the condition progresses, dysfunction tends to spread to neurons of the outer retina and the blood-retinal barrier, which protects the retina from toxins. Damage to vital neurons occurs when the barrier begins to leak fluid, and toxins contained within, into the retinal neurophile. In the latter stages, capillary vessels degenerate and lead to further loss of blood flow causing bulges in the capillary walls, known as microaneurysms. These deformities attract inflammatory cells, and advanced dysfunction of retinal neurons eventually ensues. One of the most troubling aspects of DR is the fact that the early stages of development often result in no noticeable symptoms. Unfortunately, lack of symptoms does not indicate a lack of damage in this case. It is not until the later stages, which commonly occur years after initial development, in which symptoms such as reduced visual acuity and eventual blindness begin to manifest. At this stage, the options for treatment and the prognosis for recovery are much more grim, making it extremely important to catch the issue early on. Everyone living with diabetes should opt for periodic screenings through an eye-care specialist. Diabetic Retinopathy is a progressive disease, meaning that signs and symptoms develop and become more severe over time. This progression is categorized into four distinct stages which are identified by the nature and severity of symptoms found to be present. The first stage of retinopathy (mild non proliferative DR) is characterized by small, relatively sparse clusters of balloon-like swelling in retinal blood vessels. These microaneurysms, as they are called, have the potential to leak fluid into the retina. While the physical manifestations of this stage may be negligible, the implications for future degeneration can be quite severe, so catching and treating DR at this stage is most beneficial for one’s future health. During this second stage of DR (moderate non-proliferative DR), blood vessels that sustain the retina begin to swell and distort, in some cases reducing their ability to transport blood. Not only does this cause noticeable characteristic changes to the appearance of the retina itself, it may also contribute to the development Diabetic Macular Edema (DME)—a harmful buildup of fluid in the macular area of the retina. This stage is characterized by large numbers of blockages which deprive the retina of vital blood flow. The defining feature of this stage is the secretion of growth factors which signal the retina to grow new blood vessels to supplement those which have become invalid. The latest, and most debilitating stage of DR, is characterized by advanced proliferation of new blood vessels along the inner surface of the retina and into the vitreous gel that fills the eye. Most troubling is the fragile nature of these new vessels, which often causes them to leak and bleed into the eye. As this occurs, scar tissue develops which may contract and cause the retina to actually detach from the underlying tissue, leading to severe and sometimes permanent vision loss. 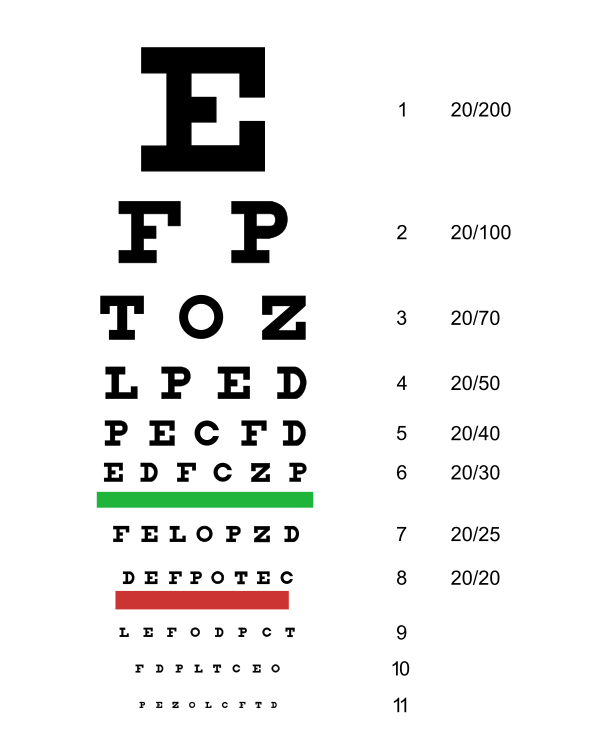 A simple, non-invasive test which uses an eye chart to determine how well a patient is able to see at various distances. An eye care professional will use medicated drops to dilate the patient’s pupils, allowing the physician to examine more of the retina for signs of DR. This type of exam is mildly invasive, sometimes causing blurred close-range vision for up to several hours post-exam. Uses an apparatus called a fundus camera to capture images of the back of the eye, or fundus. This offers an advantage over manual exams in that it affords physicians the ability to examine photo documentation of the eye outside of the exam room. 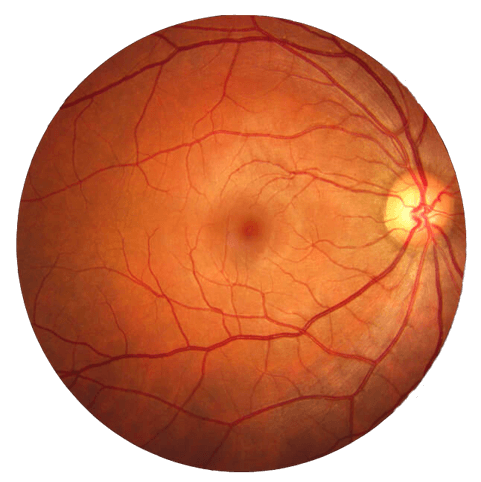 A fundus imaging technique that employs the use of a dye which is circulated throughout the eye to identify points of vascular leakage and other abnormalities. Recently, screening systems, such as EyeArt, have been developed which utilize Artificial Intelligence (AI) to identify DR and determine whether or not consultation with an expert is warranted without the need for human interpretation. This ground-breaking technology offers significant advantages over traditional screening techniques in that it is non-invasive, extremely accurate and requires significantly less training to operate effectively. All people with diabetes, both type I and type II, are at risk of developing diabetic retinopathy. The longer a person has had diabetes, the greater the risk that they will develop DR. It is reported that, after 20 years of having diabetes, nearly 100% of those with type I and over 60% of those with type II will have developed some degree of retinopathy. It is recommended that all people with diabetes who have not been screened do so at the earliest convenience and continue to undergo screenings every two years thereafter. With regular screenings and proper maintenance of the diabetic condition, the risk and effects of diabetic retinopathy can be minimized or eliminated entirely, keeping patients’ eyesight intact and allowing them to enjoy a full, uninhibited lifestyle. Congdon N, Freidman D, Lietman T. Important Causes of Visual Impairment in the World Today. Castillo, M. 371 Million People Have Diabetes Globally, About Half Undiagnosed. (11/14/12). National Eye Institute. Facts About Diabetic Eye Disease. Lee, R. National Center for Biotechnology Information. Epidemiology of diabetic retinopathy, diabetic macular edema and related vision loss. (9/30/15). of Diabetes on Ocular Health. (8/1/10).